A dog tracker, purse light, butter cap, and 23 other products we are so glad someone invented. 1. A grip strip so useful you're gonna want to stick with it forever. 2. 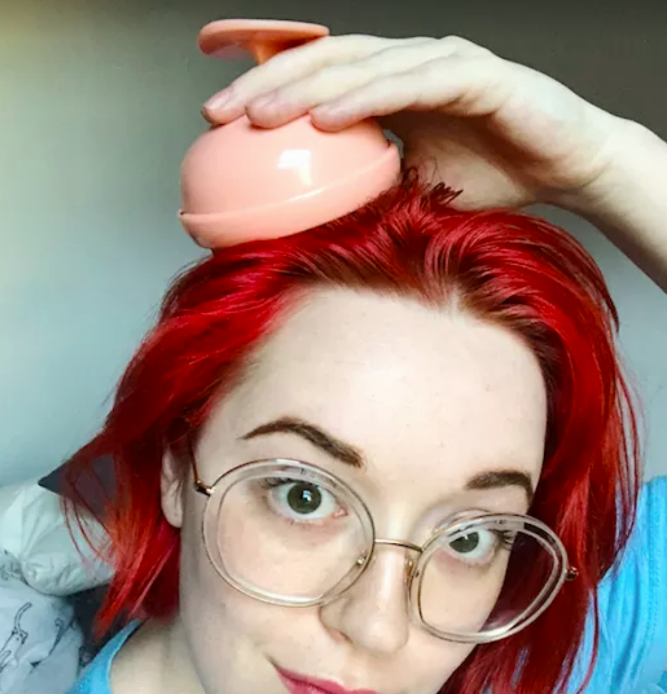 A waterproof speaker to prove you don't need ~mushroom~ in the shower to perform a full concert all on your own. This li'l singing 'shroom has a three-hour battery life, connects to Bluetooth, and uses a USB to charge. Get it from Firebox for $18.09 (available in three colors) or get a portable waterproof speaker from Amazon for $20. 3. A clip-on bag light, so you won't waste away the day searching through the black pit that is your bag. 4. A magic tap to help kiddos get drinks on their own without having to do any heavy lifting, which means you won't have to be crying over spilled milk. 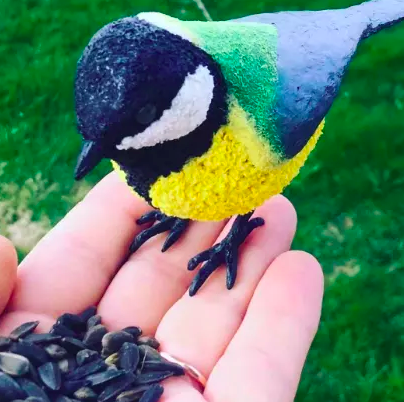 I have zero kids but I still want seven of these just for me. 5. An earwax removal oil that'll work extremely well for an extreme amount of earwax (but you didn't hear it from me). 6. 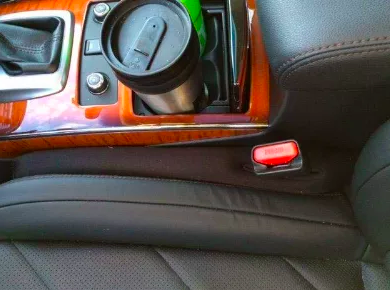 A charcoal deodorizer to keep your car smelling fresh (without it smelling like fake pine trees). 7. 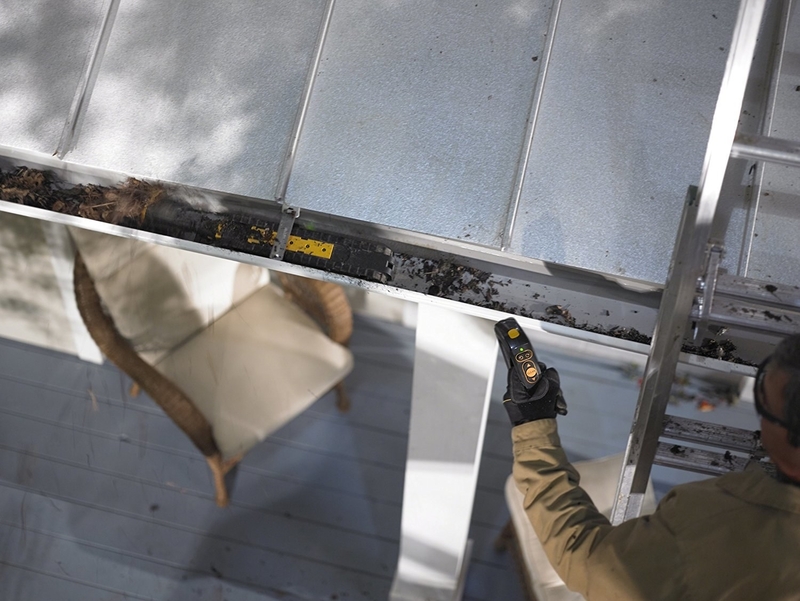 A gutter cleaning robot that'll be the kind of investment every new home owner will feel great about, because you won't have to raise the roof to clean the roof. 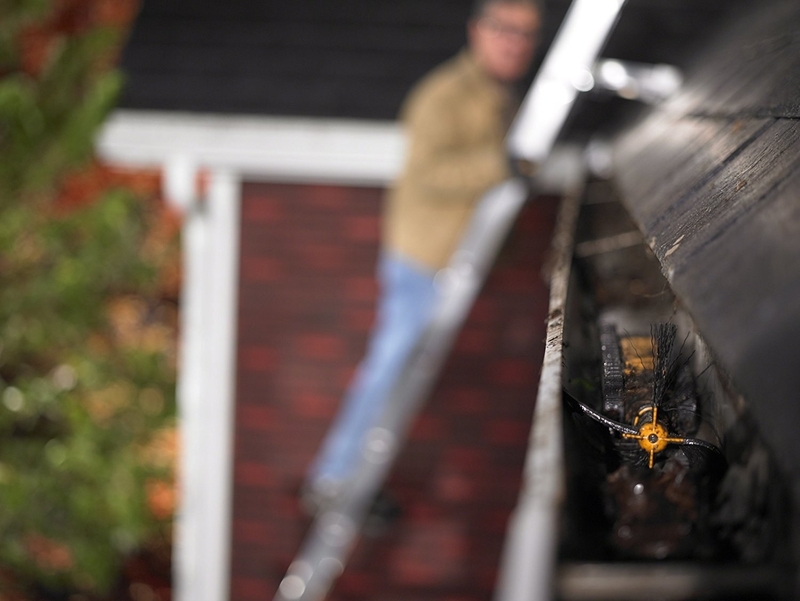 This gutter cleaner uses four stages of cleaning power to get rid of all the gunk stuck inside your gutters by blasting away debris and brushing off dirt and grime. It has a one-button clean mode, lithium battery, and a detachable remote control handle for times when you want to get in on the action. 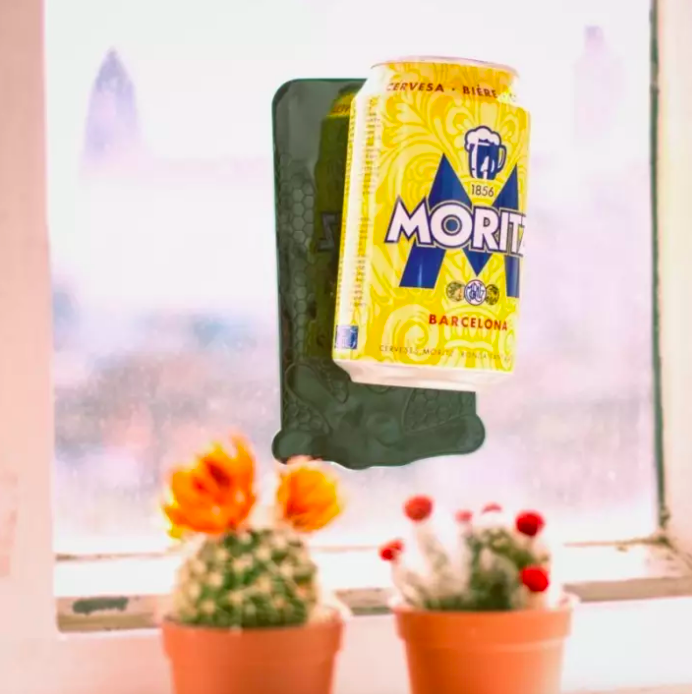 You can use the remote for things like moving it forward, adjusting the spin so that it doesn't throw leave on the roof, etc. 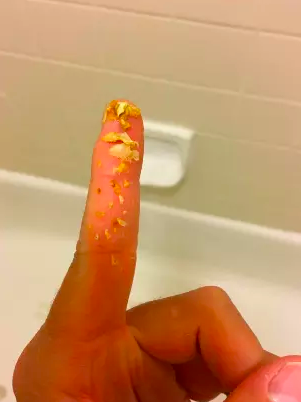 Although you can literally just hit "clean" and it'll do everything for you, which is fine by me. Get it from Amazon for $459.99. 8. A nozzle sealing clip to make storing (and pouring) your food so much easier. 9. 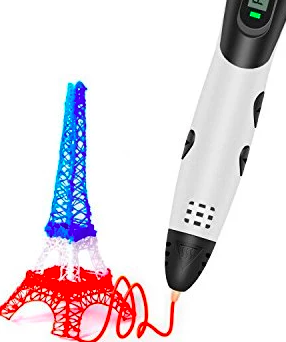 A 3D pen that'll be so fun you won't ever want to stop using it (just be sure to take a break at some point, you've gotta ~draw the line~ somewhere). This genius drawing device uses a USB to charge and has adjustable speed and heat settings to help you warm up to drawing in 3D. Get it from Amazon for $39.89. 10. A cooking guide apron decorated with common cooking times and meal-prep instructions so you can cook simple meals without always needing to find a recipe. Get it from Amazon for $19.52 (available in three styles). 11. 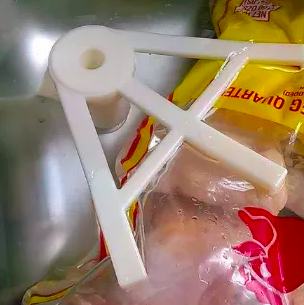 A Thaw Claw to safely thaw food in far less time — for when you don't remember to unthaw your chicken until after your stomach starts rumbling. 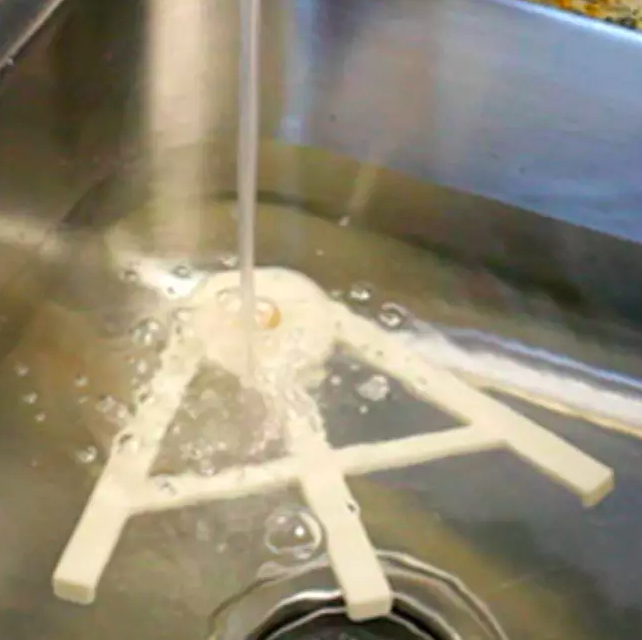 This simple thawing claw suction cups to the bottom of your sink. You just stick it on, fill the sink up, and place your frozen meat underneath the claw —it'll keep everything submerged evenly underwater and thaw that piece of meat fast than you can say, "get in my belly." 12. A butter cap is sure to be a ~dairy~ great way to keep your tasty Land O' Lakes fresh. 13. 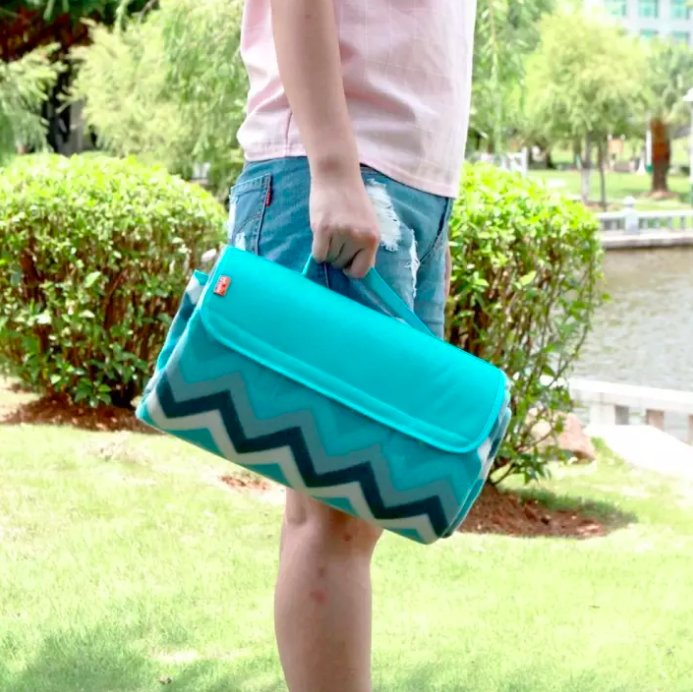 A water-resistant blanket tote so a little damp grass doesn't rain on your parade (or picnic, concert, soccer game, etc.). 14. A strawberry slicer that'll cut perfect strawberry slices in one step and make prepping your favorite fruit ~berry~ easy. Get it from Amazon or Williams Sonoma for $11.96. 15. 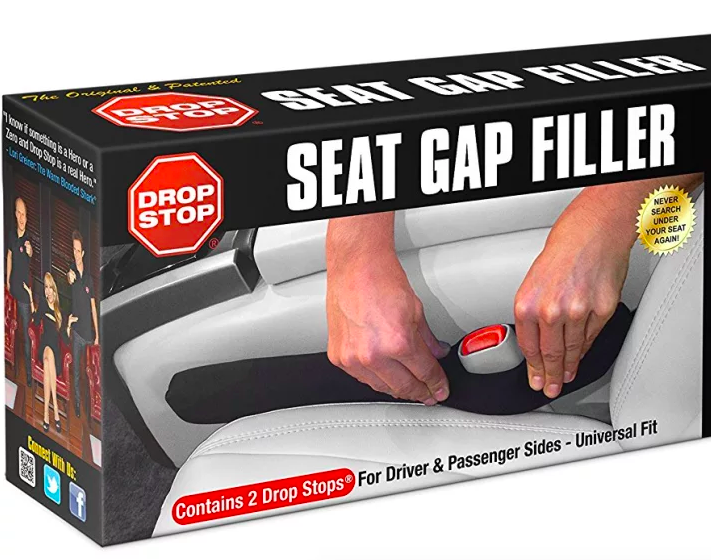 A seat filler sure to save your french fries from certain doom. 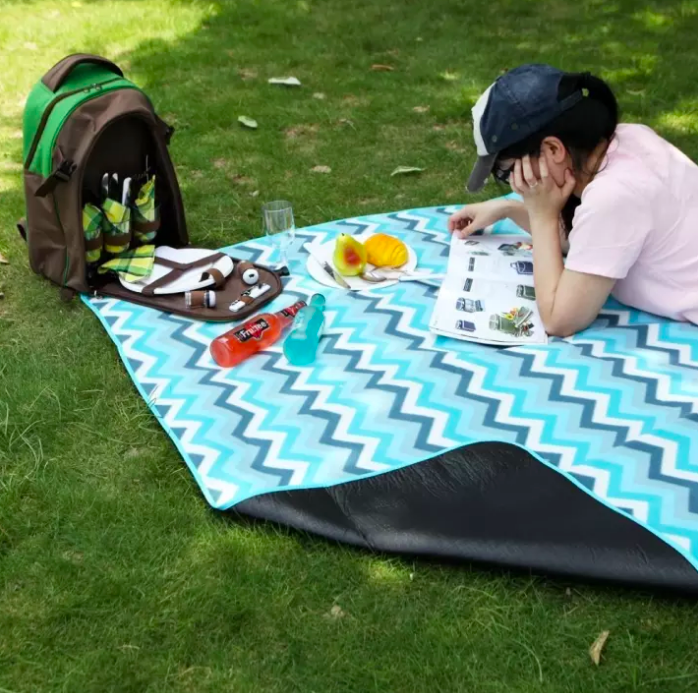 This product has over 3,200 five-star reviews! 16. A plush bath flower for keeping your baby comfortable while you wash them until they smell fresh as a daisy. 17. 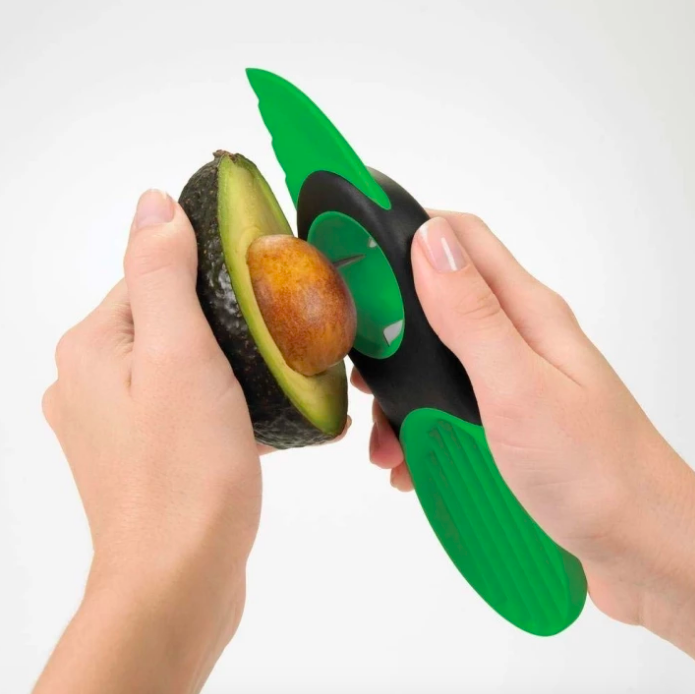 A 3-in-1 avocado tool to cut, pit, and slice your avocado — making this delicious treat even more of a, well, treat. 18. A fruit ice cream maker so you can enjoy something delicious *and* nutritious. Get it from Amazon for $39.49. 19. A pair of bluetooth glasses — they may not be the most practical accessory under the sun, but people are definitely gonna ~rave~ about them. 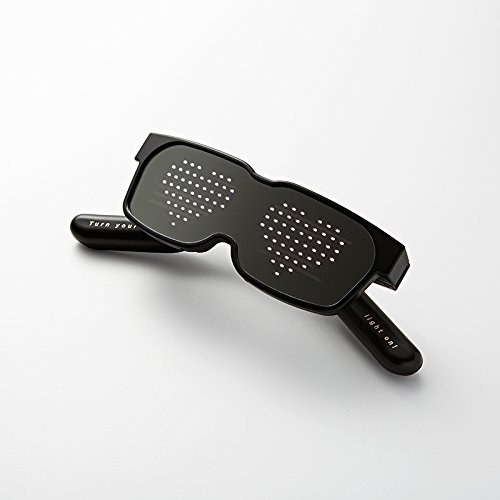 These glasses connect with your Android or iPhone. Once installed, you can save up to five messages. The glasses will respond to music and light up with the beat, or you can control them yourself to display exactly what you want seen. Batteries are included, and should last you up to eight hours before needing to be charged. Get them from Amazon for $69. 20. An attachment that'll turn your Apple TV remote into a universal one for your TV, receiver, soundbar, Blu-ray player, and Apple TV. 21. 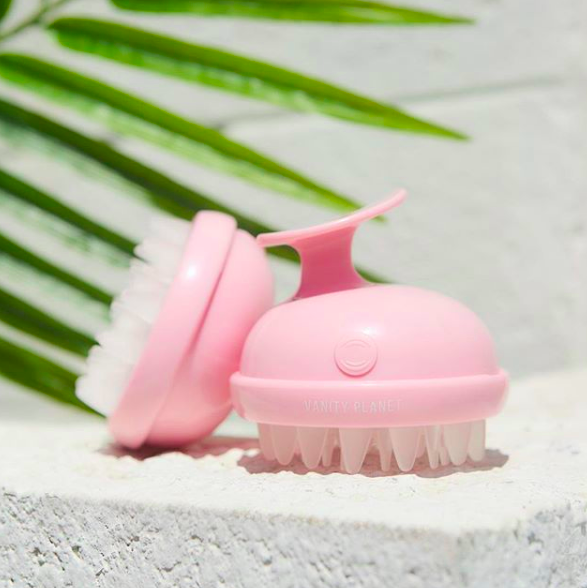 A scalp massager to gently exfoliate your scalp and turn your shampoo into some seriously sweet self-care. I also really love using this on my scalp when my hair is dry and I need to wind down. Check out my review to see why I'm so into this thing! Get it from Amazon for $19.40 (available in five colors). 22. A pair of Bluetooth sunglasses so you can listen to music while listening to the sounds of nature all around you (assuming you do that "nature" stuff, that is). These Bluetooth glasses have an open-ear speaker, allowing you to listen to tunes for up to three hours while also hearing the sounds around you — perfect for any outdoor adventure where you'd like to enjoy some music while staying aware of your surroundings. 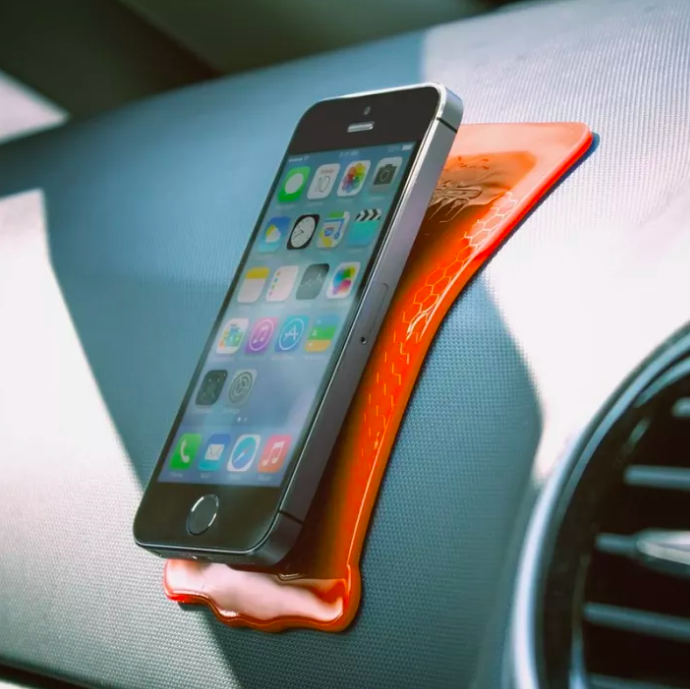 They can connect with your phone for weather, directions, and traffic updates, and provide hands-free conversations. Get them from Amazon for $39.99+ (available in five styles). 23. A 24/7 dog tracker that'll let you know what your pooch is doing all day. 24. A touch-up painter sure to save you time and money when you need to quickly paint over the place your kids drew on the wall. 25. 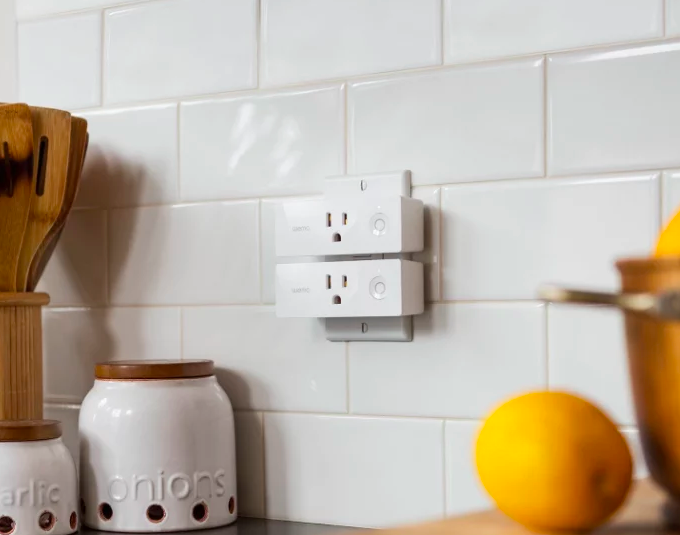 A Wi-fi-enabled smart plug so you can control your appliances with your voice, wherever you are. 26. And finally, a foot hammock that'll let you (literally) put your feet up and relax, even when you're at the office. Get it from Amazon for $12.43. 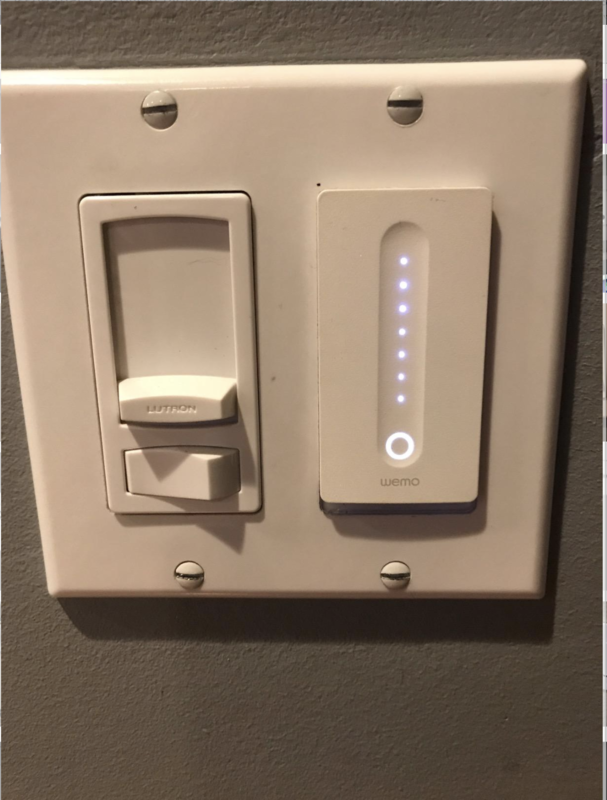 You, when you see these genius things in action. 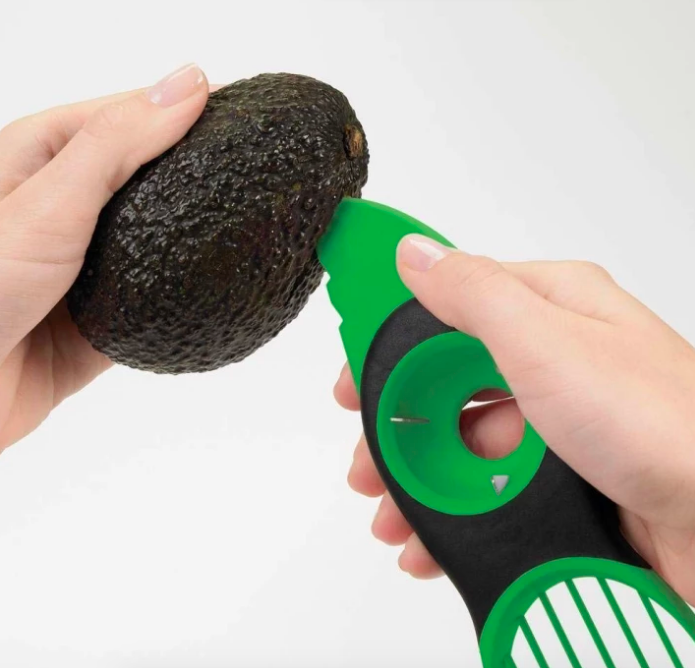 Can't get your fill of clever products? Check out some of these posts below!